Images too big. Shrink size & colors, interlace. Where did bee's knee's measurement/image come from? A hair louse might be nice. Human hair original image[link broken] from Los Alamos MST[link broken]. 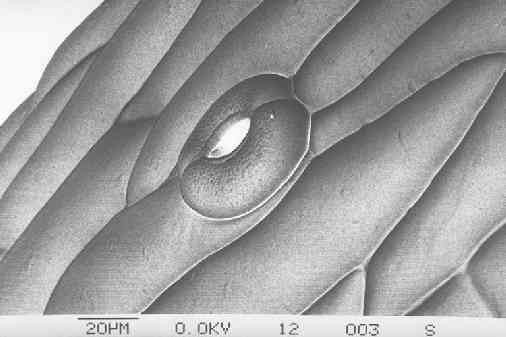 Stomata original image[link broken] from IKE's General Electron Micrography images[link broken]. Paper thickness: 80 um - lightweight to 330 um - index card. A table[link broken] with caliper in inches. 2003-Feb-03   Repaired links - 5 flagged. 2001.Apr.20   Added link to `How Big Are Things?'. 1998.Aug.11   Fixed broken hair url. 1998.Jun.17   Corrected error with magnitude boundaries (3.333->3.162).